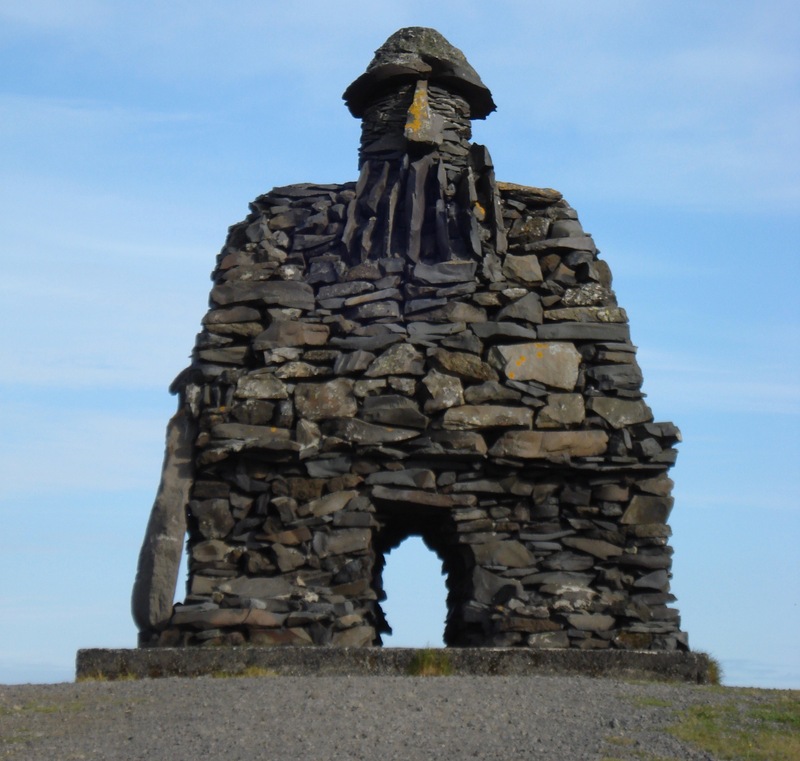 The large troll sculpture at Arnarstapi, a small village located on the Snæfellsnes peninsula in western Iceland, was designed by the Icelandic sculptor Ragnar Kjartansson, co-founder of the Icelandic Sculptors Society in 1972. The large monolith built in stone is the embodiment of a legendary figure recounted in the Icelandic sagas as Bárður Snæfellsás, a half-human, half-troll/ogre being who is the protagonist of the saga (story) that bears his name. The local sculpture represents Ragnar Kjartansson’s interpretation of the guardian spirit that dominates the surroundings of the Snæfellsjökull glacier, the place where the saga of Bárður Snæfellsás’ is said to have partly taken place. According to the eponymous late Icelandic saga (written most likely during the early 14th century), Bárður Snæfellsás was the descendant of a human mother and half-giant (risi), half-troll creature recalled as Dumbur. He was raised by Dofri, a mountain dweller of Dovrefjell mountain range situated in present-day Oppland, Sør-Trøndelag, and Møre og Romsdal counties in southern Norway. His first wife was Dofri’s daughter, Flaumgerðr, with whom he had three daughters, namely Helga, Þordís, and Guðrún. His second wife was Herþrúðr, with whom he fathered six more daughters. At some point, he set sail with his wife and daughters from early medieval Norway to Iceland. Once there, he landed on the southern shore of the Snæfellsnes peninsula, which he named Djúpalón, the place where he also built a farmstead. Not far away from his farm, namely at Arnarstapi, there lived his half-brother from his mother’s side, Þorkell, who was half-jötunn (giant in the Norse mythology). Þorkell had two sons, Rauðfeldr and Sölvi, who would often play with Bárður’s daughters. One day though, Rauðfeldr pushed Helga on an iceberg, leaving her to drift in the North Atlantic Ocean by herself. Luckily, she floated unharmed to the shores of Greenland, where she found herself a lover. So it is that Bárður clashed subsequently in battles with his maternal half-brother and his sons, managing to defeat all of them. After the events specified in the first part of his saga, Bárður vanished from the region. Nonetheless, after his departure, the people of the area regarded him as the protective spirit that overlooks the entire peninsula.